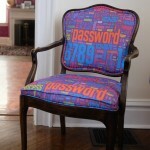 I’ve been collecting images of all the cool things that I and others have made with my bad password fabric. 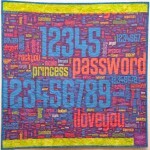 The fabric is available from Spoonflower in three size and both with and without the naughty words. 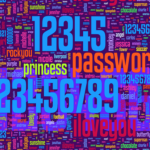 It has a purple background and includes 501 passwords. 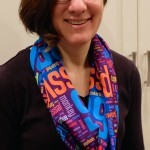 Spoonflower offers a variety of different kinds of fabrics, including a performance knit, basic cotton, and faux suede. They also will print this design on wrapping paper and wall paper. 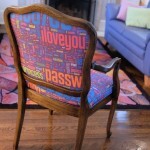 Recapping for those who are just seeing this, I designed a series of bad password fabrics based on the most popular passwords stolen in a Rockyou.com data breach. 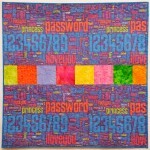 First I made a “Security Blanket” quilt printed on basic cotton fabric in pastel colors. 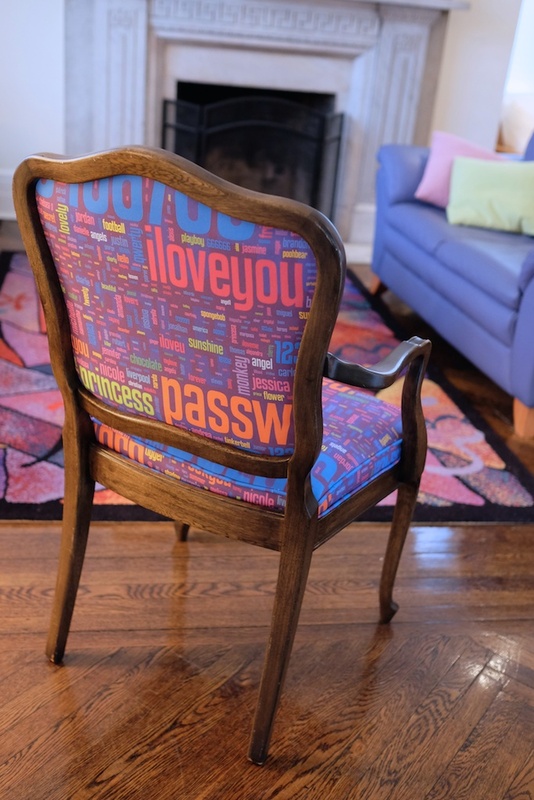 This quilt appeared in Science Magazine and was on display at the residence of the Carnegie Mellon University president for most of last year. 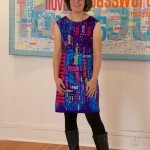 Then I designed a purple version of the fabric and made a password dress with performance knit fabric. 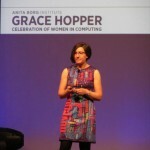 The dress has gotten some nice press on CNET, the Trib, and the Women you should know blog. 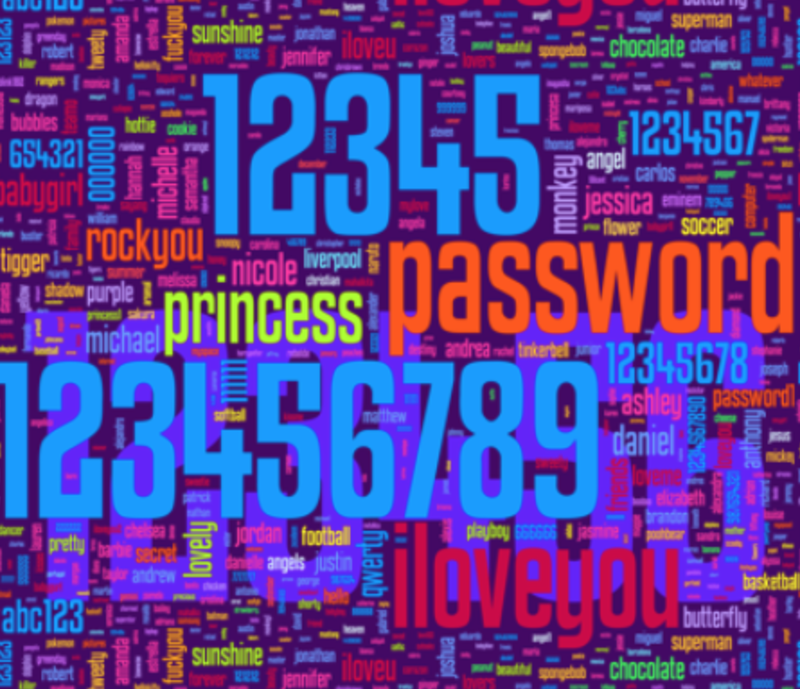 Then my friends started requesting other password apparel. 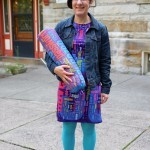 Mary Ellen Zurko commissioned my friend Jen Primack of Upcycled Designs to make her a t-shirt from cotton knit fabric. Then Jeremy Epstein asked for ties, and we found Jen Knickerbocker of LoveCrushDresses and got her to offer regular ties and bow ties in her Etsy shop. 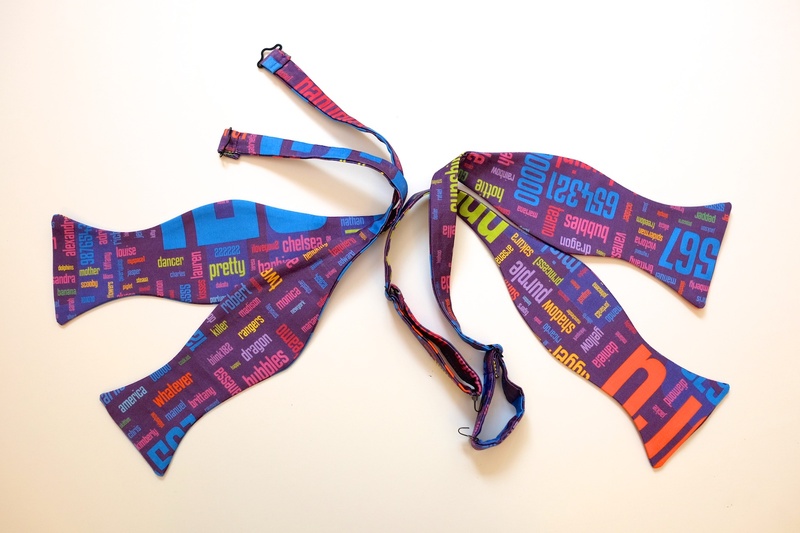 The ties are made from cotton sateen. 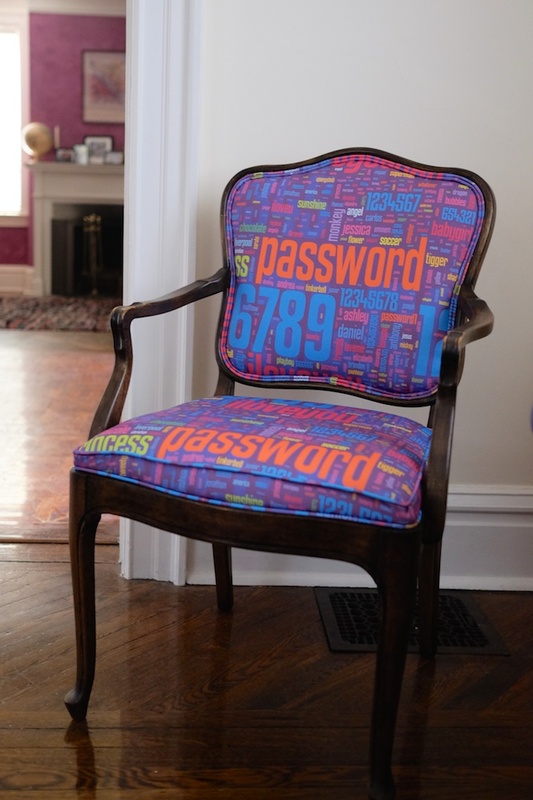 Then Jen Primack bought an old chair and reupholstered it with my passwords fabric in heavy cotton twill. Doesn’t it look great in my living room? 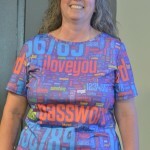 Kristin Briney emailed me to tell me she had made a password dress from cotton poplin. 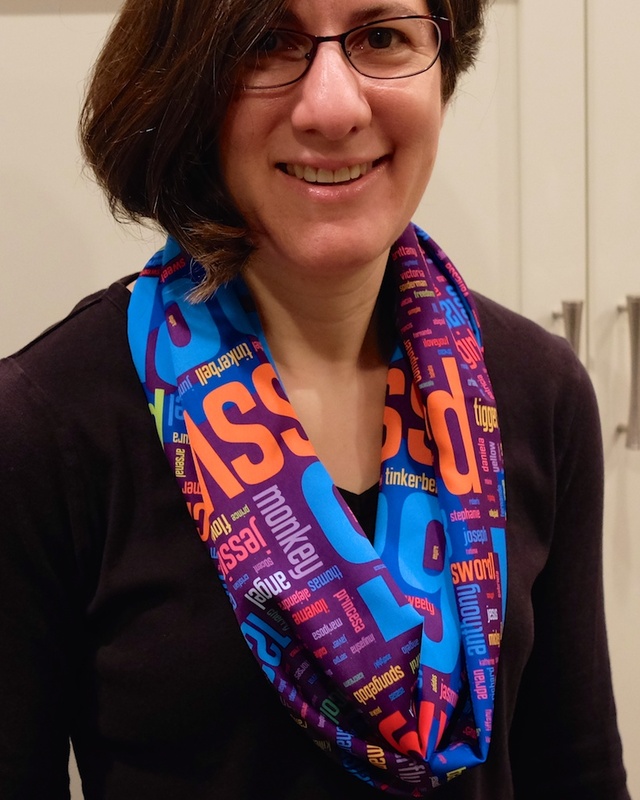 And I just made a password infinity scarf from silky faille (a woven polyester). 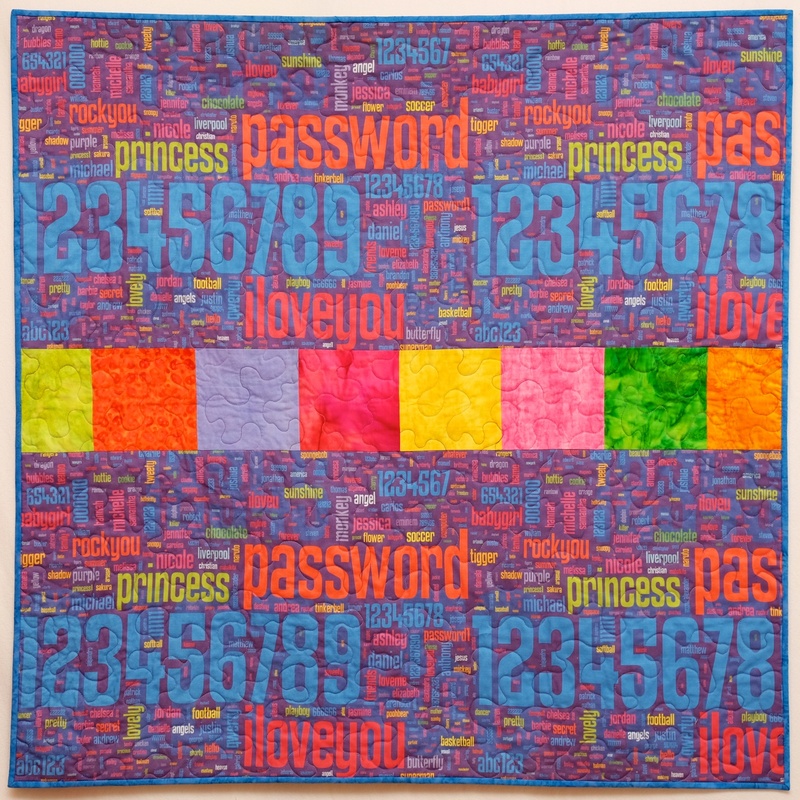 Password baby quilts and couch throws made out of kona cotton are coming soon…. 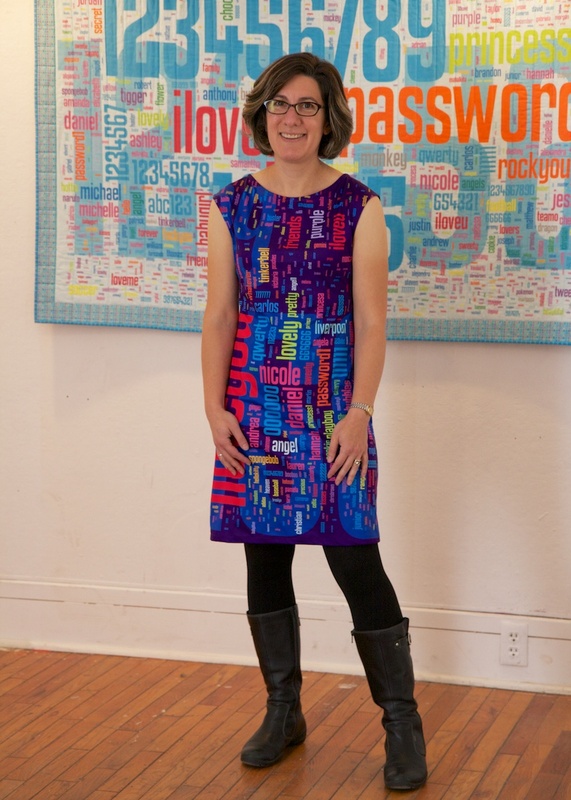 In the mean time, I’ve gotten many requests to wear the password dress to events. 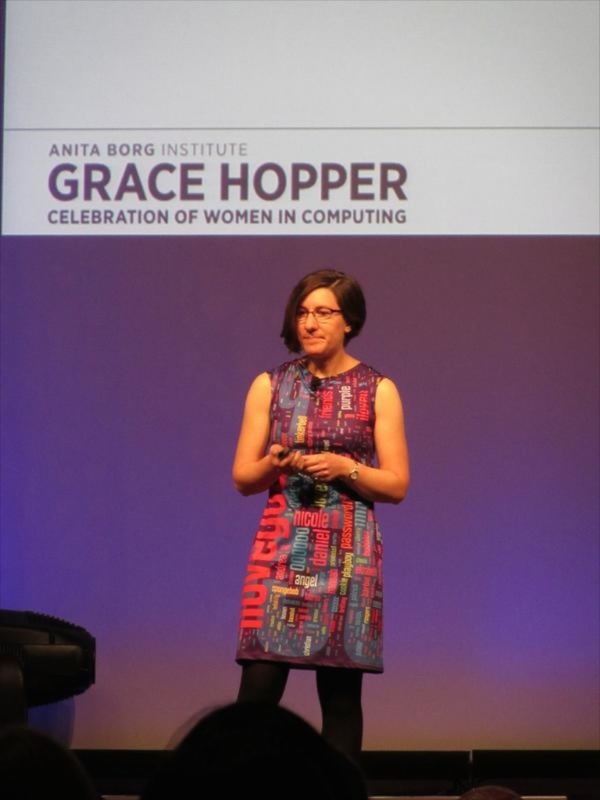 I wore it to give an invited talk at the 2014 Grace Hopper Celebration of Women in Computing (where I was referred to as a “password researcher and fashion idol“). 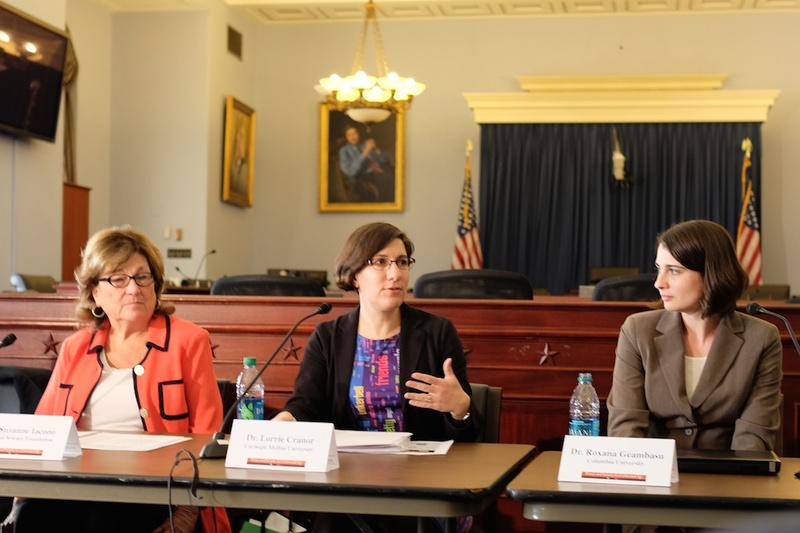 I also wore it to a couple of briefings I gave to Congressional staff on Capitol Hill. And for those wondering about the different types of fabric. The polyester fabrics are much brighter than the cottons. They are all fairly consistently bright with nice saturated colors. 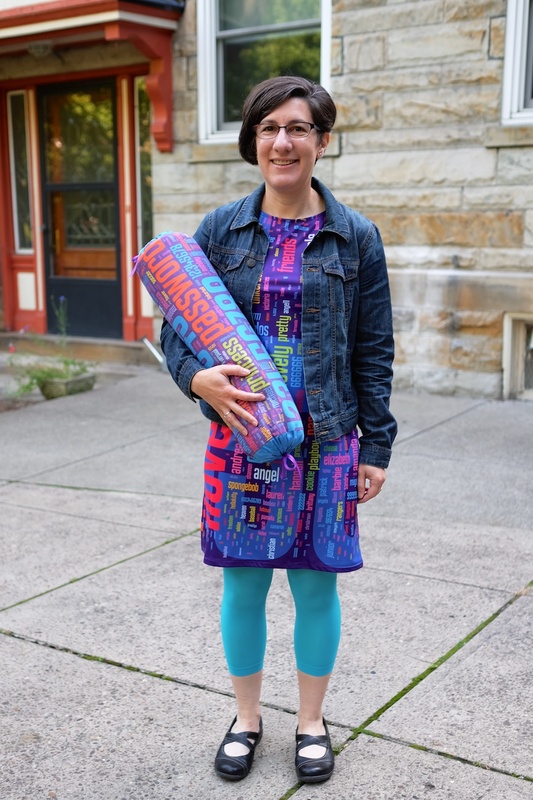 My favorite is the performance polyester, which doesn’t wrinkle and has a little bit of stretch and a nice drape. But it’s not really what you want to use for a quilt or a tie. The kona cotton is a little disappointing because the colors print a little dull. The basic cotton (which is similar to the kona but slightly lighter weight and less expensive), cotton sateen, and the heavy cotton twill produce brighter colors. They aren’t as bright as the polyester, but they are noticeably brighter than the kona cotton. The cotton silk also does not produce bright colors. 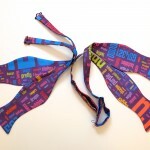 I think the polyester silky faille might work well for ties and some other applications where you might otherwise use a woven cotton but want brighter colors. It’s a little slippery and harder to work with than cotton though. I got samples of the polyester faux suede and polyester eco canvas. They are both lovely bright fabrics, but I haven’t made anything out of them yet. 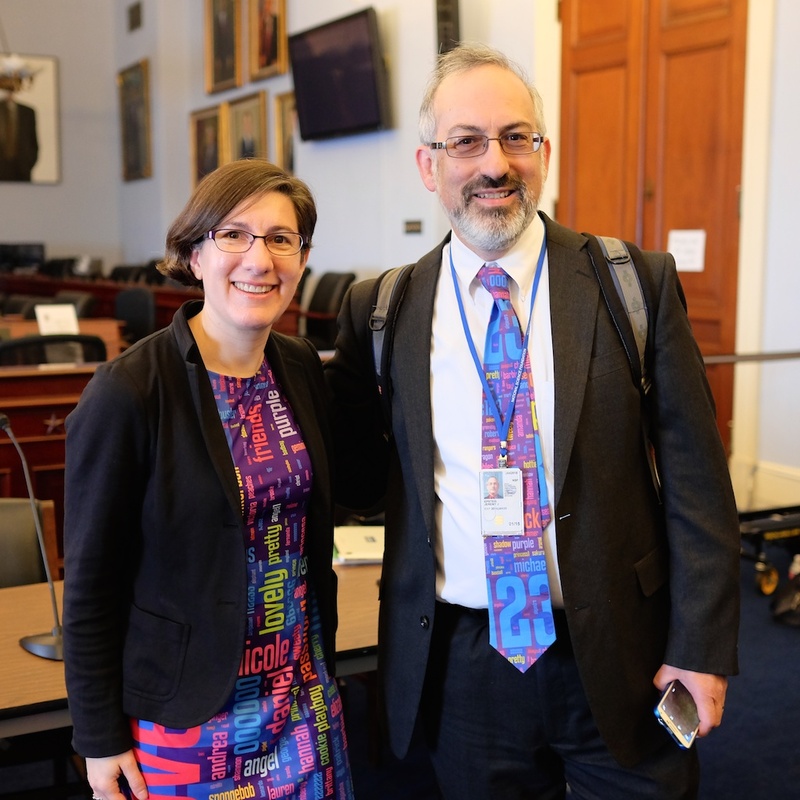 1/22/15 update: Von Welch, Director of the Center for Applied Cyber Security at Indiana University Bloomington wore his Password tie for a local TV interview. 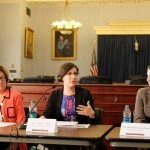 The reporters loved the tie and commented on it at the end of the interview. 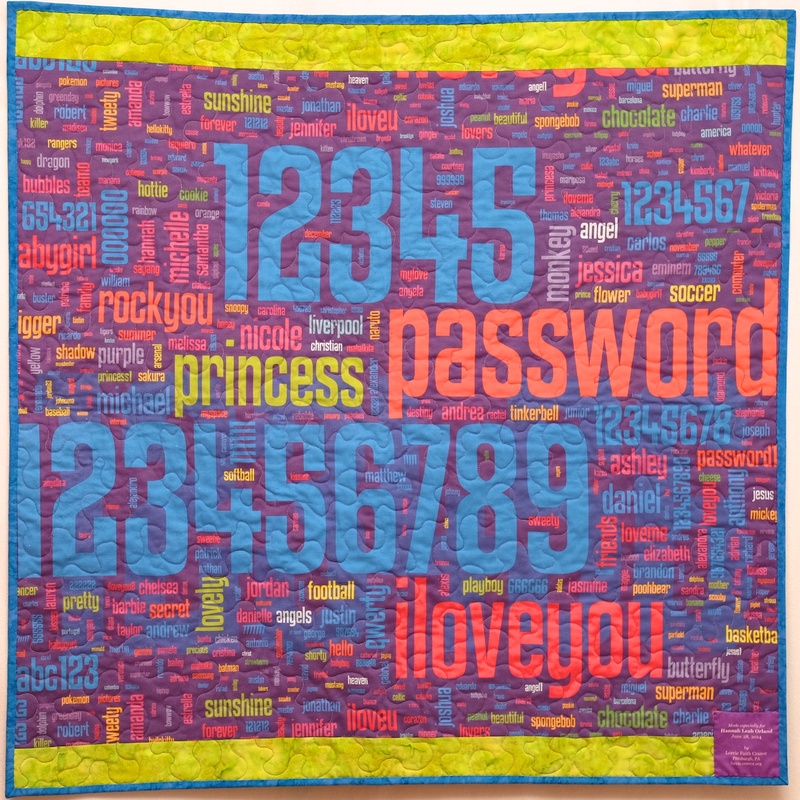 2/6/15 update: Baby quilt in kona cotton finished! 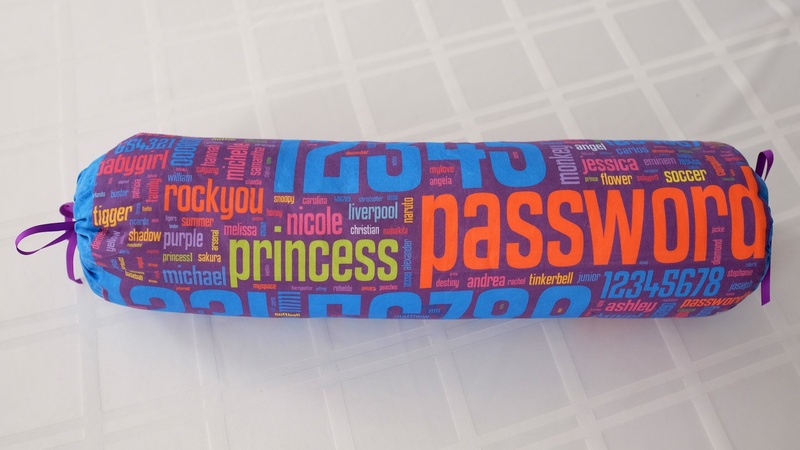 7/16/15 update: I made a password bolster pillow for the CMU ECE department head’s conference room.